A drug stability program that is above reproach is critical to successfully navigating the complexities of drug development. A well-managed stability program with thoughtfully constructed protocols demonstrates your lab and quality systems are in control. It shows how stable your material is during development and can provide insight into which degradants are formed and when and which potential orientations, formulation, packaging materials, or conditions may cause undesirable results. The data generated from these studies affects how the therapy is ultimately formulated, manufactured, packaged, stored, and administered. Stability is a full-time job. You need one leader to ensure success. This person oversees the program and the systems you put, or already have, in place. Smaller companies assume they will take an analyst out of the lab and make them the stability coordinator. But many things happen when no one is focused on managing the entire program. These include missed time pulls and ambiguous stability protocols, which result in not capturing information such as container closure composition or orientation. Stability-indicating methods are developed early. Understanding the stability profile and characteristics of the drug substance is fundamental in laying the foundation for subsequent stability testing. Confirm that your drug substance, drug product, and analytical methods are appropriate by staying current with the latest regulatory updates and warning letters. Make API substance stability part of molecular characterization. Conduct forced degradation studies that stress-test these molecules to understand potential impurity or degradation peaks. Make certain stability is part of feasibility so it leads to the go or no-go decision. Stability work is continued through all phases of development. Work closely with formulation and process development groups to put material on stability after major process or formulation changes. This helps to demonstrate consistency in degradation profiles after major changes. Don’t forget to assess analytical methods after these types of changes to verify they are still fit-for-use, as they may also require modification and revalidation. At each phase of development (preclinical, early/mid-clinical, and late clinical) are elements that can increase the probability of obtaining useful data to make critical decisions and gain FDA approval. Have plenty of technical data. Implement the proper systems and manufacturing process to gain a scientific understanding of the structure and breakdown pathways of the molecule. Assess the stability of samples used in model systems and, as required by regulations, pivotal toxicology studies. Data acquired later is always compared back to the data generated from your toxicology studies. Perform short-term, real-temperature, and accelerated stability of the active pharmaceutical ingredient (API)/drug substance (DS) and experimental drug product (DP), if available. Assess the stability of the test article and test article in carrier during pivotal preclinical trials, as required by the regulations. Properly structuring your stability program at this stage allows for a detailed understanding of the profile and characteristics of the drug substance. It is on this foundation that subsequent stability testing will be built for eventual product approval. develop stability specifications and finalize them before manufacture of Phase 3 material. how the protocol can be modified and amended. 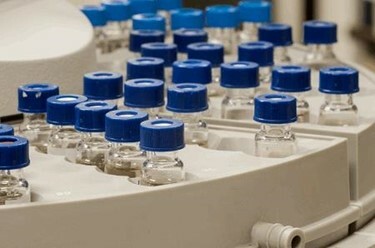 During this phase, not only is stability performed on the API/DS, drug product intermediate (DPI) (as applicable), and DP, but also stability of diluents, reconstituted drug product, and drug product in multi-use containers (e.g., vials) must also be performed. It is also important to include references to any deviations and/or OOS documentation. Reports should be clear and concise; include the rationale for the design, statistical handling of data, and specific conclusions to help inspectors or auditors understand the connectivity of the data to the overall development of the drug. Do your due diligence instead of waiting for the FDA to do it. Find out where the gaps are, acknowledge those gaps, and put a plan in place to mitigate them. This also is the time to prepare for an FDA inspection of your stability program. The easier you make it for an inspector to follow your drug development road map and the better you explain how stability data supports decisions made, the less likely you will have something appear in any 483s. Keep stability commitments to the FDA. If you say you will conduct long-term studies on the first three commercial lots, do it. Make sure to conduct an annual stability batch (or more) or special stability studies (e.g., lots requiring reprocessing) as applicable, track and trend everything, and keep it current. Make sure you have a rationale, and the data, to support everything you do. When there is a stability failure and you decide not to conduct a recall, have documented rationale, data, and justification. Seriously consider the impact of process, formulation, and delivery method changes on existing stability data and scrutinize any protocol modifications. Investigate any trends that extrapolate to being OOS before end of shelf life and any other similar events with and determine the root cause. Perform an impact assessment and execution of CAPAs, if necessary, and track the effectiveness of systemic CAPAs with all proper documentation. Submit field alert reports (FARs) and biological product deviation reports within required timelines. GMP compliance is an intricate ballet. Not only do you have to execute many steps flawlessly, but you also must perform them in the correct order. There is much to building, managing, and maintaining control of a stability program. But being in control will prepare you for any number of unforeseen developments, surprise inspections, or audits. Editor’s note: To help you optimize the stability program at your company, the author has created comprehensive checklists for each phase of the drug development process. You can download them for free at http://www.carmodyqs.com. Guidance for Industry: INDs for Phase 2 and Phase 3 Studies, FDA, May 2003. Judy Carmody, Ph.D., is the founder and principal consultant of Carmody Quality Solutions, LLC, based in the Boston area. With 20+ years of expertise in operations, quality assurance, control, systems, validation, and analytical development, she has a reputation as a quality turnaround specialist in the pharmaceutical and biotechnology industries. Find her on LinkedIn.